Dandruff is a harmless and chronic condition, it happens when the head scalp becomes dry or oily, as a result white flakes of dead skin will imitate in the hair or even on your shoulders. Even if it is harmful, dandruff problem can be embarrassing for some people. These dandruff normally starts between ages of 10 years and 20 years, also it affects up to 40 % of people with ages around 30 years. Shedding of dead skin cells is an ordinary action because the skin cells in the head scalp are created in a continuously way. However, skin cells with dandruff are shed faster than normal. When there is oil in the head scalp it will causes the skin cells to combine with each other and looks like white flakes. Dandruff can be caused by several reasons such as dry skin, sensitivity to hair products, skin problems such as psoriasis, seborrheic dermatitis or eczema. Overgrowth of yeast on the skin can also cause dandruff. There are many reasons behind this overgrowth for instance, it could be as a result of hormones or suffering from stress, also it may happen because of too much oil in the head scalp and some problems in the immune system. The signs of dandruff include white flakes of dead skin in the hair or even on the shoulders, also you will have itchy crusty scalp. Dandruff spreads over the scalp in general. If the cause of dandruff is seborrheic dermatitis, the symptoms are usually gradual. The head scalp becomes dry or oily. Skin cells turn into yellowish scales when they die. Seborrheic dermatitis could also have symptoms in different parts of human body. The reddish scaling can be shown in different places for example, on the hairline or on the nose and chest, it may also appear around ears. Scaling due to psoriasis is seen in the form of silver-colored flakes in the ear, extremities, trunk, palms and soles. Dandruff is a simple condition that a person can identify himself/herself with symptoms such as itchiness, dryness and crusting. Seborrheic dermatitis manifests with redness, yellowish dandruff and mild itching. Psoriasis is usually silvery, flaky, and in contrast to Seborrhoeic dermatitis, it is well-defined plaques. A doctor or dermatologist usually distinguishes sebaceous or psoriasis from the appearance of the skin. Treatment of dandruff may be a chronic condition but in the same time, it can be controlled by a suitable and adequate treatment. First shampoo your hair with a chemical-free shampoo, apply a firm massage to the scalp and then rinse your hair. Another way to get rid of the flakes is by shampooing repeatedly and this will decrease the oiliness and prevent the dead skin to build up on the head scalp. If this method is not beneficial, special anti-dandruff shampoos usually work. Instructions for use vary according to the shampoo used. Some are used daily, others only once or twice a week. When choosing a non-prescription shampoo, make sure it includes anti-dandruff ingredients such as ketoconazole, selenium sulphide, salicylic acid, sulfur, coal tar or zinc pyrite. There are many products that are responsible to remove these flakes, you should just try different types of them and see which product will be good for your scalp and give you excellent results. Ketoconazole-containing shampoos seem to be more effective when compared to other non-prescription medicated shampoos in seborrheic dermatitis and dandruff treatment. While salicylic acid preparations are mainly used for dandruff originating from psoriasis, products containing sulfur and coal tar are used for dandruff-related dandruff. If you do not see any benefit after 2 weeks of using over-the-counter products, or if the situation worsens, you might consider seeing a doctor. A doctor can write you down a corticosteroid lotion to use it and apply it on your scalp. Do not use corticosteroid-containing products for long periods without doctor’s advice. These products may scratch the skin structure and cause other side effects. The use of corticosteroid shampoos and lotions for babies is not appropriate as babies are easier to absorb than skin adults. Seborrhoeic dermatitis in infants usually disappears spontaneously a year after birth, without any treatment. Shampoo your hair frequently to control the head, reduce your stress level, try to reduce the use of hair problems (jellies and sprays) and get a healthy eating habit. 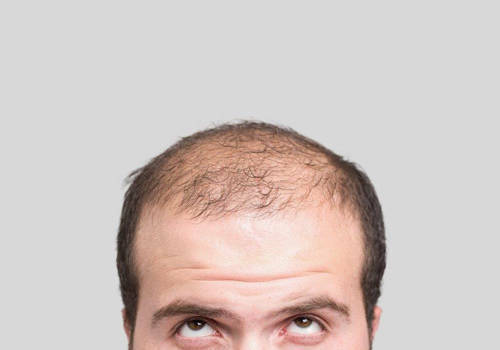 Using hair loss medication such as Minoxidil to treat thinning hair can have other effects on the head scalp like causing dandruff flaking as a side effect. Alcohol in Minoxidil can help in drying out your head scalp, after few months of treatment dandruff may set in. In most cases, you can solve this problem by replacing the drug you are using with another drug or using a dandruff shampoo or using a prescription steroid cream if the condition is bad. Finasteride, another drug used in hair loss, does not lead to dandruff. may occur and hair loss may occur. Another good effect of using the dandruff shampoo in washing your head scalp is that after this treatment the hair will start to grow again.